The next day, Liam stayed at home with the omegas while the two alphas went to court. He made breakfast while texting his husband to update him on the situation. Niall walked into the bedroom to find his omega best friend still asleep so he walked over to him and got under the covers. He started drawing lines on his back with his finger in hopes that he would wake up and give him attention. After a moment, Louis yawned while stretching and said with his eyes still closed, "I&apos;m exhausted, what time is it?" Niall sat up on the bed and said, "It&apos;s time for you to give me some attention." Louis wiped at his eyes to clear his vision and said, "I always give you attention," and looked over at him while rubbing his baby bump. Niall shrugged while looking around the room with a frown and said, "Not really." Louis sat up carefully and said, "Then what am I doing now?" Niall then cuddled into his arms and said, "Now, you&apos;re giving me attention," and shut his eyes with a smile on his lips, obviously satisfied. Louis rolled his eyes fondly and said, "Your baby will end up thinking that I&apos;m his real father." Niall looked up with his eyebrows furrowed and asked, acting dumb, "Are you not? What about that time on the stairs?" Louis chuckled and whined, "Stop that," and continued rubbing his baby bump then added, "I can&apos;t wait for the triplets to be here already." Niall admitted, "Good luck. I&apos;m only having one yet I&apos;m stressed out already and they&apos;re not even here." Louis furrowed his eyebrows while playing with his hair, knowing that it calms him down and asked, "Why are you stressed out? Is it because of the birth? Because you can avoid that completely –"
"No, no, it&apos;s not that. I just," Niall paused to take a deep breath, leaned into his arms and added once he calmed down, "I don&apos;t really have any experience with kids. 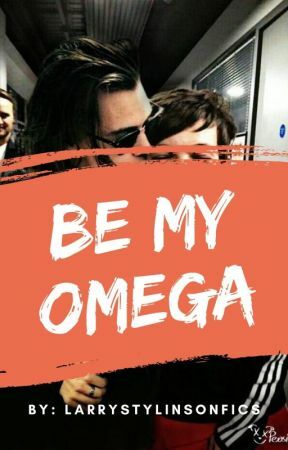 I mean, am I even a good omega? Will I ever be a good mother?" The brown haired omega&apos;s features softened and said, "Niall, don&apos;t you ever think like that ever again. You are a good omega because if you weren&apos;t then the alphas wouldn&apos;t have stuck around. They adore you, can&apos;t you see that?" Niall looked up at him and asked softly, "How are you and Harry at the moment? Zayn told me that there has been a bit of tension between you two lately." Louis looked straight ahead while nodding his head and said, "I-It was a bit of a misunderstanding." Niall furrowed his eyebrows and said, "To the point where Harry got pissed drunk? I don&apos;t think so." Louis swallowed the lump in his throat and started rubbing his baby bump protectively. He said, "The doctor took my number from the hospital and Harry got jealous. It&apos;s just that I didn&apos;t think much of it a-and," he paused then shook his head and added, "Doesn&apos;t matter." Niall sat up and bit his bottom lip. He said quietly, "Your intention wasn&apos;t to cheat, right?" 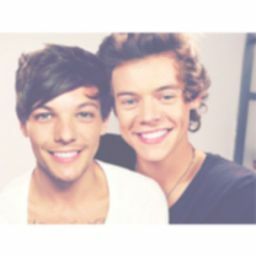 Louis shook his head and said, "I would never cheat on him. He&apos;s the only one I ever loved, you know that," then added quietly, "I&apos;m so scared." Niall furrowed his eyebrows and asked, "Scared of who? Harry?" Louis stayed silent for a moment before he answered, "I&apos;m scared that, one day, he&apos;s going to just leave and never come back. I don&apos;t think that I would ever survive if that ever happened."